I love what Miromoda is doing - each year they host a competition in which Maori designers compete in various categories to win an opportunity to show at New Zealand Fashion Week. It is a way of ensuring that Maori designers are included in NZFW, and that they are the best of the best for that year. Below is an article that discusses the recent competition (which wrapped up at the beginning of June). The Miromoda Maori Fashion Design Award winners and runners up who will showcase at NZ Fashion Week in August have been announced. 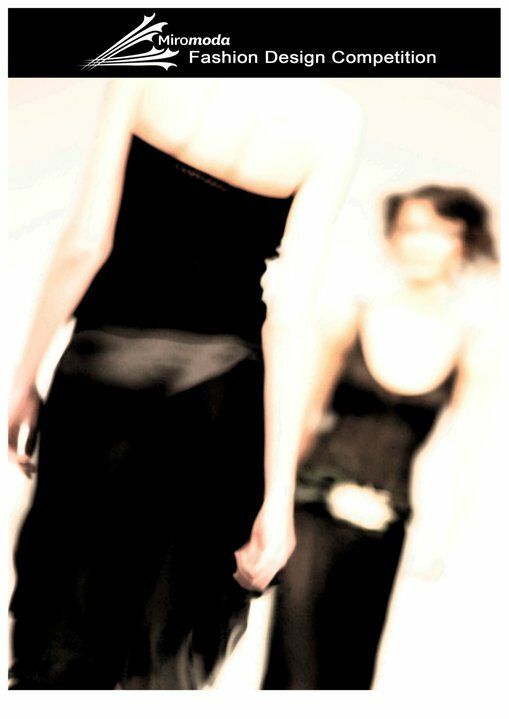 The 2010 Miromoda showcase at NZFW was voted best show of the week by Dominion Post Fashion Editor, Carolyn Enting and reported as the most photographed show by International media. After winning the established section with her collection Te Aho Tapu (The Sacred Thread), Adrienne Whitewood of Rotorua was also named Overall Winner which will see her under the mentorship of Sydney based Miromoda Co Founder, Rex Turnbull, attend Australia Fashion Week and be guided and mentored in fashion business by Jack Yan, Publishing Editor of International Fashion magazine Lucire. Yan also made up the Miromoda panel of three judges. Having debuted last year as a runner up in the 2010 Miromoda Emerging section, Whitehood’s 2011 entry was completely different which impressed the judging panel, not only for her tailored execution of her garments but her passion behind the research and dialogue of concept. Executive Officer at Fashion Industry New Zealand (FINZ), Mapihi Opai, said “It’s always a challenge to draw inspiration from a traditional indigenous source and create contemporary garments that appeal to a fashion audience, but Adrienne Whitewood succeeded in doing that with her three-piece collection Te Aho Tapu; The Sacred Thread. “She demonstrated creativity and the ability to push a design concept beyond literal translation, combining strong construction techniques and a good understanding of the commercial environment to achieve her goal of producing slow-fashion with an edge. In line with extraordinary aspects of the Awards, Auckland label, D’monic Intent made up of three sisters, Maxine Wooldridge, Samara Wooldridge and Khris Leach, earned first place in the Haute Couture section with their collection entitled Black Sheep. 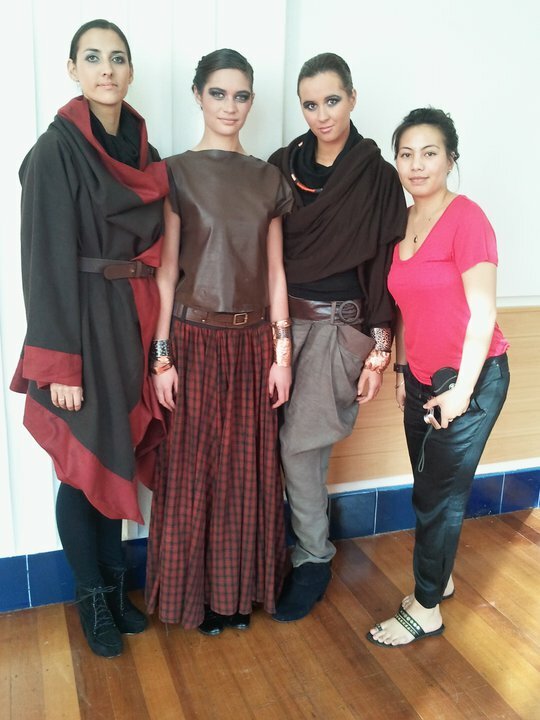 They were also named runners up in the Established section for their The Alchemist collection. The first time entrants to the Miromoda Fashion Design Competition were ecstatic with their double whammy win and their opportunity to debut at NZ Fashion Week. Miromoda’s first-ever international entrant came in the form of Tara Warren from Brisbane who was clearly delighted her knitted Menswear collection entitled ‘Childhood memories’ won the Emerging section. Perhaps one of her biggest compliments was that all five male models commented they would ‘easily’ wear the knitted pants and comfortable fitting tops with matching cardigans. A former Fashion Design student of Auckland’s AUT, Tara will also make her way to Auckland in late August for NZ Fashion Week. The first equal winning entry in the Tee Shirt placement competition by Kereama Taepa, a photographic tutor at Waiariki Polytechnic in Rotorua left judges aghast.“I was initially a bit puzzled, then realised with shock, this entry could be a whole new genre in NZ fashion, it’s mind boggling and extremely innovative”, said Miromoda representative on the judging panel, Rex Turnbull. A technique that Taepa has coined HAKAR because it incorporates the letters A and R the acronym for ‘Augmented Reality’ sees a tee shirt print convert to another (possibly moving) image when viewed through a webcam that detects a marker in the print design. Taepa cleverly incorporated a haka to make the tee shirt interactive as was demonstrated by top Wellington model Alistair Boyd. An example of this technology can be viewed below. Of the 19 fashion design finalists, Miromoda organisers were extremely pleased with the Project Runway styled competition that runs throughout the day and contracts up to 15 local Maori models, many of who are novices. “It’s very exciting to see what unfolds from the fashion designer’s entries of sketches on paper to the actual garments, then seeing them on the models who are every bit catwalk worthy,” says Project Coordinator Terina Cowan.